Michael Schumacher Tower By Homestead. 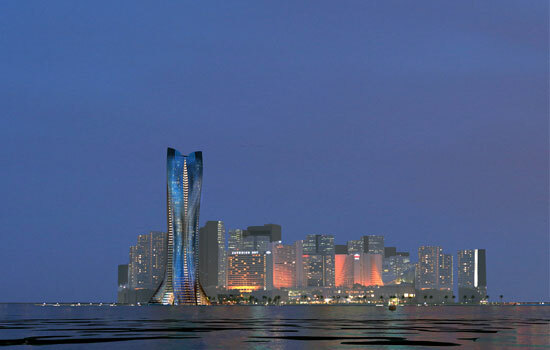 Inspired by the concept of unique “Human Architecture”, planned by Michael Schumacher “The legend” himself and this project MSWCT (Michael Schumacher World Champion Tower) is been presented by Homestead. Take a look of the previous delivered building. Ø Single tower and rest open green area with hi-tech club and swimming pool. Ø High rise floors- 34. Right now launching only 25 flats on 24th July with BSP 10,500/-sq.ft. Ø Completion of project within 3 Years. Ø There is a Helipad on the top floor of the Tower. Ø Club and swimming pool is free for the persons booking the flats during this launch. Ø There is a swimming pool and gym in each flat of this project. Ø Air conditioning VRV system and highly luxurious flats with imported wardrobes in the entire bedroom. 1000 rs/sq.ft Inagural discount for first 25 units (27/6/2012). One can also bargain some broker discount. After this CLP < Construction Linked Plan > will be considered . Ø Next revision of rates on 24th August 2012 = BSP 12000 rs/sq.ft. Ø Possession keys will be distributed by Michael Schumacher during a grand celebration. Ø The world is full of magical things waiting for our wits to grow sharper . 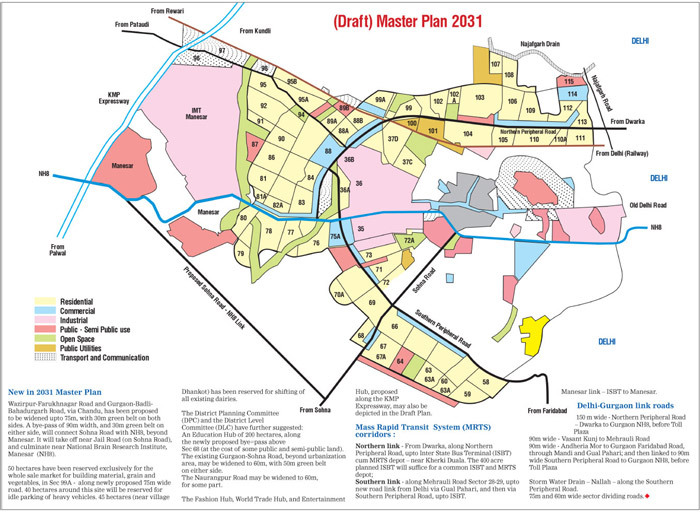 As per the article the major proposed changes in Gurgaon Manesar Masterplan 2031 comprises converting the major Reliance SEZ designated lands into designated 7 new residential / commercial sectors. At the same time the size of area under development has been reduced despite increased projected population . There are 2 ways of looking at it, removing SEZ means that the employment opportunities in New Gurgaon areas are that much reduced and they have to largely depend on the clusters existing in the Golf course Road / Sohna Road / NH8 areas near Delhi Gurgaon border and also existing manufacturing hub along NH8. The things added are wholesale markets near new sectors & heavy vehicle parking areas, which are not a great alternative to SEZ as far as employment is concerned. Another way to look at it is this allows more residential space in the new sectors creating a high density residential cluster in Gurgaon, which will make it the residential core of Gurgaon. Hope there is clarity on the creation of other infrastructure in this masterplan related to water/ power/ transport / STP etc. 1. I do agree the prices in Delhi have softened a bit owing to freehold and lease hold confusion and not because of scarcity of money. There is no dreath of money yet. 2. The stabilization of prices and a dip in prices is always a healthy sign. This means real estate is consolidating at a certain price and taking a breadth for a next big leap. The more time spent in consolidation zone means a bigger leap. The theory here is simple in such a scenario the inventories which are in weak hand move to stronger hands and then command better premium. 3. In Gurgaon the flats market never come down in terms of prices. There is hunger for flats as lot for end users want to move in there own houses. I was amazed to know that people have moved in Tulip Ace on Pataudi Road where still the infrastructure needs to catch-up. 4. I have also realized that people from all parts of country and world have investments in GGN. With Dollar appreciating 20% in last few months lot of NRI’s have invested in GGN recently. They have made down paymnents in most of the cases there by having a direct benefit of 32%. Dollar at an all time high in my view, this has brought in lot of money into India. 5. Interest rates are going to and will have to soften in next few months, which will bring more home loan takers back into real estate. I have seen these kind of phases and negative people scaring the positive people with statements like ‘World is going to be over’. This is not going to happen and if it happens even people who are not invested in RE will be impacted. Net Net this is a great time and in my view a time to buy right set of properties at right price. “Do you have sewer lines or fresh water or even drainage system? How can you levy a tax for maintaining a service that you don’t even have?,” a bench of Justices D K Jain and Madan B Lokur said. “No property there is worth less than Rs 1 crore. However, they don’t even have basic facilities. What have you done regarding providing external services, particularly drains and water? You tell us in an affidavit what external and internal services you provided for these township colonies,” said the Bench. The court was also anguished by the absence of a counsel for the Haryana government and decided to call its Principal Secretary (Law) to explain lapses in their representation and to clarify their stand on providing basic facilities to Gurgaon residents. The court was hearing petitions by NGO ‘Gurgaon Citizens’ Council’ and a resident of the area, challenging notices by the Gurgaon civic agency to collect property taxes from the residents. Effective carpet area is 73% and 70% of the advertised super area. Increasingly we have been getting queries that shall we buy an apartment in Hibiscus or Golf Course Extention. So below I have jotted the opinion of fellow RE members on the same topic. The merits of a RTM project like HIBISCUS at SEC 50. I recently visited the Site. Its 90% complete. 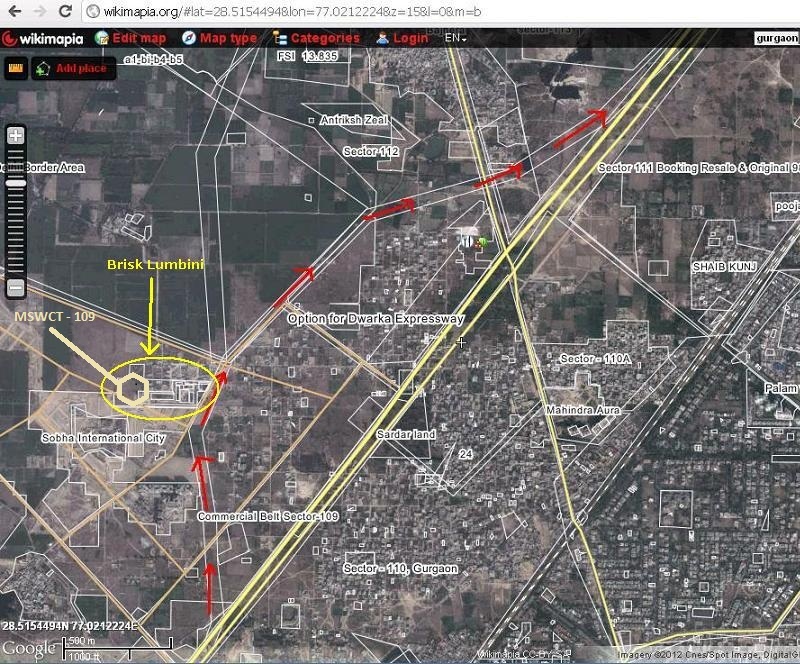 And the location is in one of the MOST WELL DEVELOPED areas of GURGAON. Medi-city and Artemis are Close by. Hilton Hotel is opening next door. Looks are classy and premium. Landscaping is done by Paul Friedberg. To me, its one of most UNDER-RATED projects in GURGAON. Most GCX projects are by NEW BULIDERS, who havnt delivered a single premium project, baring EMAAR. Possesion of Tower one & two will start by Nov 2012. In GCX projects everything is 3-5 years away. GCX the real livable conditions will be only in 2015 – 2016. Even if builders give you possession today, in GCX, the amount of construction, that will carry on for next 5 – 10 years is not ideal living conditions.